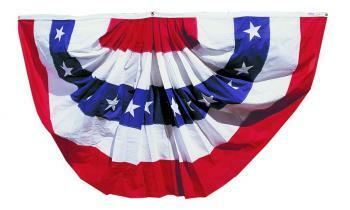 4x8' traditional pleated fans for patriotic decorations. Our patriotic bunting is made from all-weather nylon and is decorated with red/white/blue stripes and white stars. Decorate your home or business with our nylon American flag bunting!